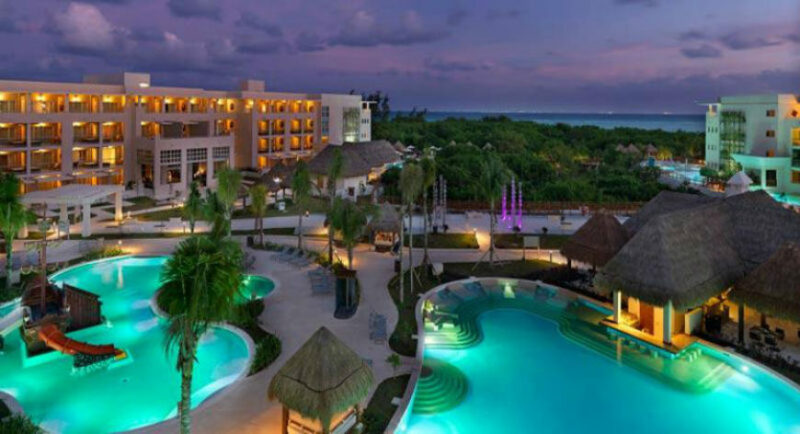 A stunning private bay is home to the lush, tropical Paradisus Playa del Carmen La Esmeralda and as the name states this is a paradise. 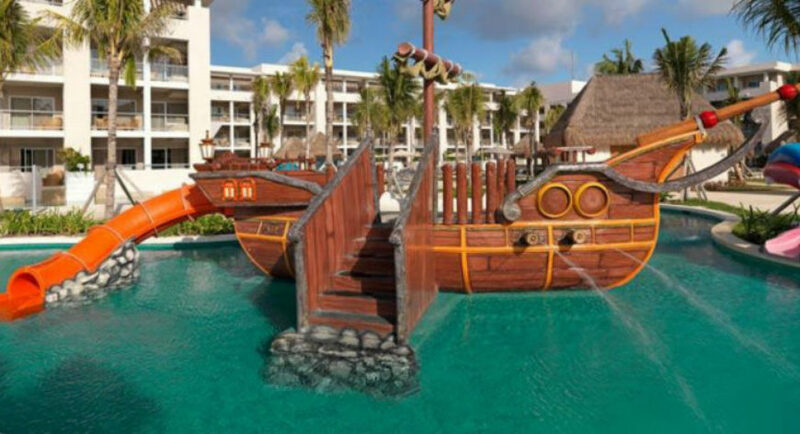 Experience this all-inclusive Playa hotel with its promise of all-inclusive fun. 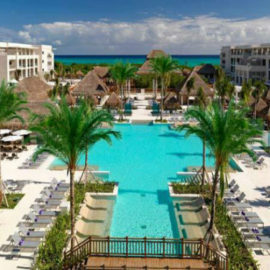 The superior luxury resort in the Riviera Maya combines a breathtaking Caribbean setting with world-class facilities, including Family Concierge, YHI spa treatments, and modern meeting spaces designed to be flexible and equipped with state-of-the-art technology. 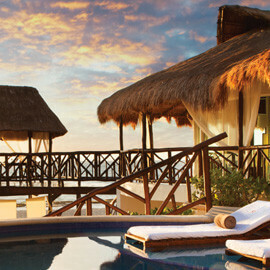 All of this plus spectacular day excursions include diving and the iconic Mayan pyramids. 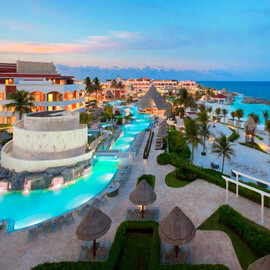 Ideally located near Mayan archeological sites such as Tulum, Cobá and Chichen Itzá – a new “wonder of the world”. This spacious 517 sq. ft. guest suite is showered in tropical sunlight thanks to expansive glass doors overlooking the 108 sq. ft. private terrace. 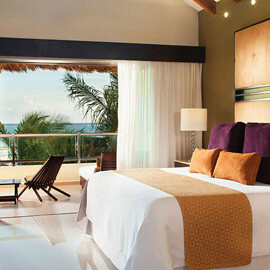 Modern furnishings and luxurious dream beds are a part of the lush experience. The bathroom adds another touch of paradise where you can stand under a rainfall shower or go for a relaxing session in the sonsory tub. This spacious 570 sq. ft. swim-up guest suite is showered in tropical sunlight thanks to expansive glass doors overlooking the 129 sq. ft. private terrace or just beyond to the pool via your own private access. Modern dark wood furnishings and luxurious dream beds are a part of the lush experience. 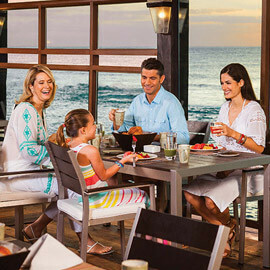 Our unique Family Concierge suites with luxury service personalized to all members of the family. 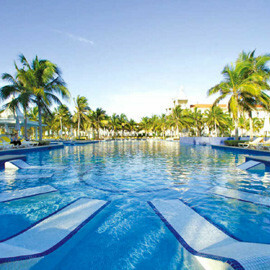 Our Certified Family Concierges will take care of all your needs to meet all your desires. This spacious suite of 48 m² is flooded from tropical sunlight thanks to the large glass doors overlooking the terrace of 14 m². Our exclusive Family Concierge suites with luxury customized service for all members of the family and our qualified, experience team of attentive Family Concierges will take care of all your needs. This ample suite measuring 48 m2 is flooded with tropical light thanks to the big glass doors with a view of the private terrace, measuring 14 m2, and a partial ocean view. With 642 sq. ft. the one-bedroom suite is a spacious retreat to relax and recharge. 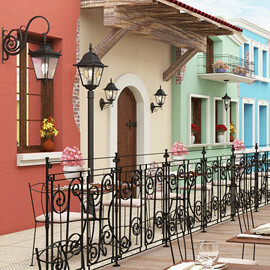 Breath in the Playa del Carmen air as you step out to your 194 sq. ft. terrace complete with whirlpool. Modern furnishings and luxurious, dream beds provide lovely stays. This spacious 646 sq. ft. one-bedroom swim-up guest suite is steps away from a dip in the pool. Step out directly to your 194 sq. ft. terrace with a Jacuzzi or just beyond to the pool via your own private access..
At 893 sq. ft. the one-bedroom master suite boasts ample space to relax and reenergize. Step out directly to your 248 sq. 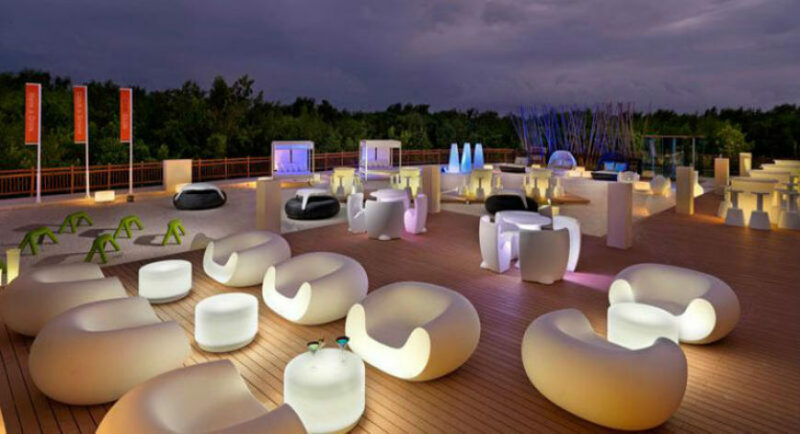 ft. terrace with a whirlpool and breath in the Playa del Carmen air. Modern furnishings and luxurious dream beds provide elevated comfort. At 893 sq. ft. this swim-up one-bedroom master suite boasts ample space and is steps away from a dip in the pool. Step out directly to your 248 sq. ft. terrace with a whirlpool or just beyond to the pool via your own private access. At 1,539 sq. ft., our two-bedroom master suite is ideal for those seeking the ultimate in space and luxury. 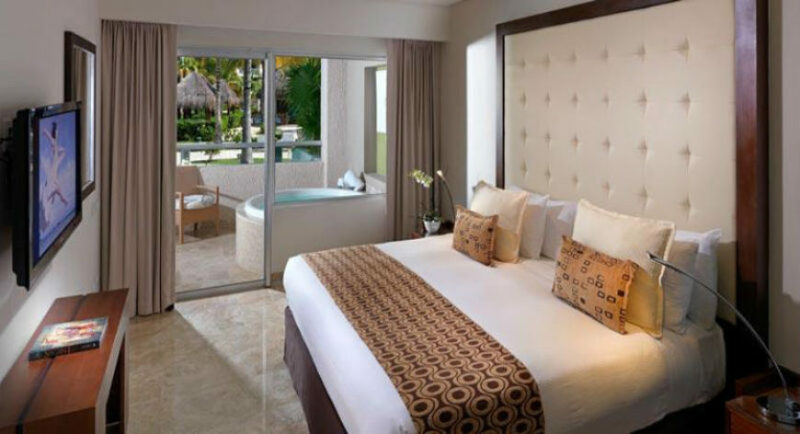 This large suite boasts two private terraces each with their own private whirlpool. Modern furnishings and lush dream beds provide elevated comfort. Illy Coffe Corner - For persons who like to enjoy an exquisite cup of coffee. Illy Café is outdoors and it offers a unique brand of world-class coffee, "prepared with skill and flawlessly." La Palapa - This restaurant combines fine dining with fresh air, where you can enjoy exquisite dishes from an a la carte menu. International Cuisine. Adults Only. Naos - International dishes prepared in front of you and served buffet-style. Buffet International Cuisine. Olio - represents the crisp and exquisite unmistakable aroma of the natural pressed olive, a Trattoria where you will enjoy traditional flavors, combined with an Italian ambiance creating a touch of sophistication. Italian Cuisine. The Market - An exquisite selection of natural salads are the highlight of the dinner menu at the Rodizzio grill, which has a wood-fired stove for pizzas and a captivating outdoor terrace. 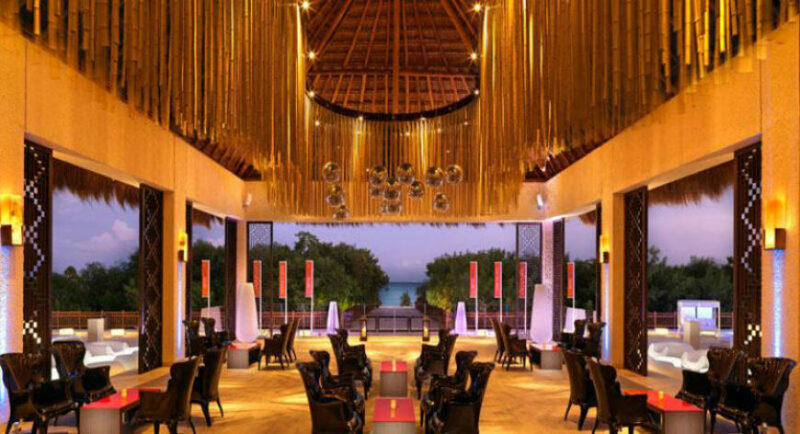 Sunrise Grill - Snack Bar & Grill with pool bar at Paradisus Playa del Carmen La Esmeralda. Daycare service for children of ages between 12 months and 4 years, open from 9 AM to 10 PM. Kids Zone service for children of ages between 5 months and 12 years, open from 9 AM to 10 PM. We have a multi-adventure area with climbing wall and rubber beds. Children will have enrichment experiences, such as Mini Life Enriching Experience: cookie workshop, pizza and cocktail. A walk through the swamp. Manicure, pedicure and hair dressing service...at the fantastic Yhi Spa for Kids (*). Special program for teenagers: rubber beds, inflatable water equipment, climbing wall, beach volleyball, snorkeling, kayak and many more activities. Game Room area with video games: PlayStation, Nintendo Wii and Xbox 360.